Add a delightful new ornament to your tree! Bundled in their winter gear, this adorable family all is set to tackle the snow! 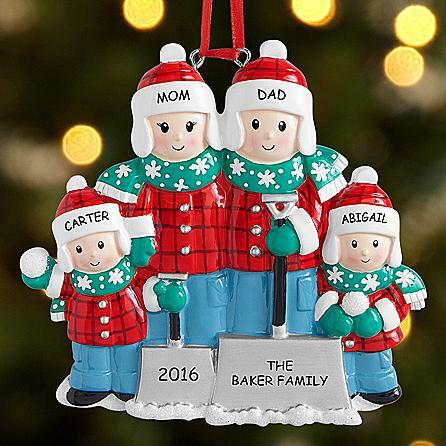 This custom created Snow Shovel Family ornament from Personal Creations is just what you need this Christmas to demonstrate your family’s togetherness. You can order any combination of family members from a couple, up to a couple with three children. The family members are brightly dressed in their warmest winter clothing complete with hats, mittens, and boots. Each character can be customized with each member of your family’s name or nickname painted neatly on the character’s hat. The snow shovel can also be customized with any year of your choice. 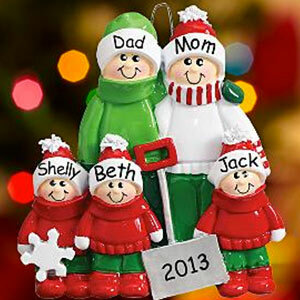 Purchase your custom ornament today! Very interesting post got some useful information about latest trends.